Elf Yourself 2017 - this year with Augmented Reality! 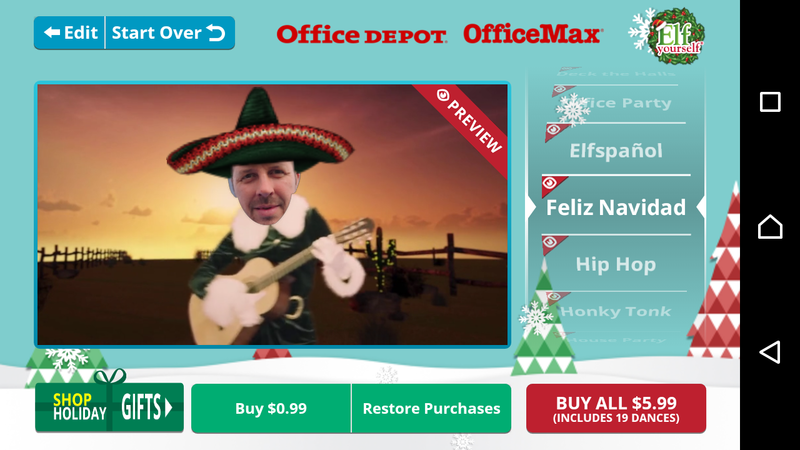 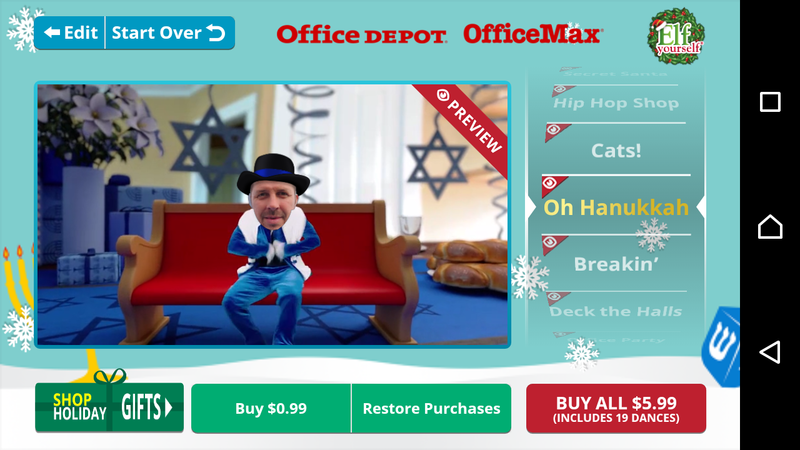 Elf Yourself is back for 2017 and this year ElfYourself has new dances and Augmented Reality through the ElfYourself mobile app! 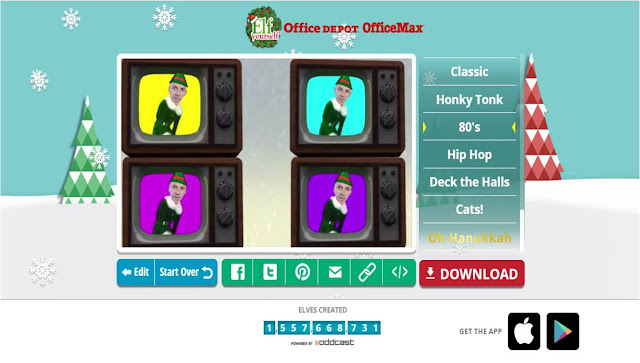 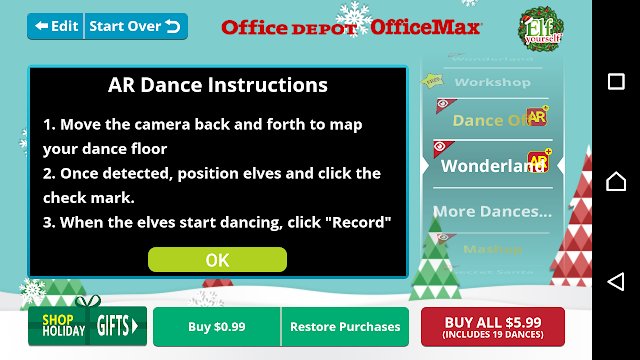 For 2017 there is also an ElfYourself mobile app which offers the opportunity to pay to download ElfYourself dances that have been created in order to share them / upload them to social media etc. 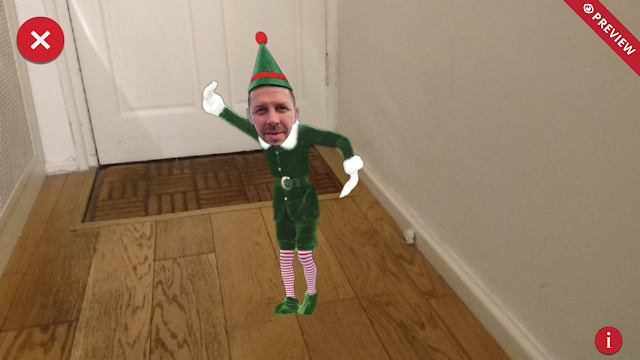 It's slightly later than previous years, but ElfYourself is back for 2017 and at the time of writing 1,558, 134, 981 elves have been created - will you be joining in with ElfYourself this year??!! !